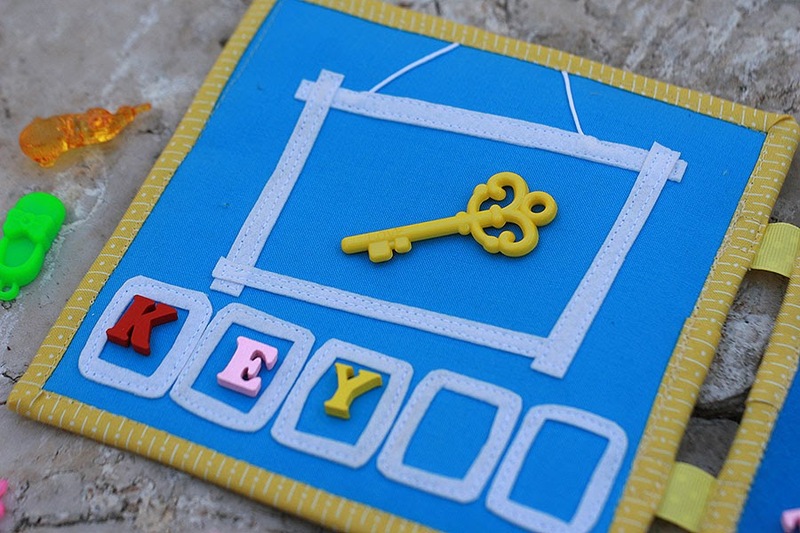 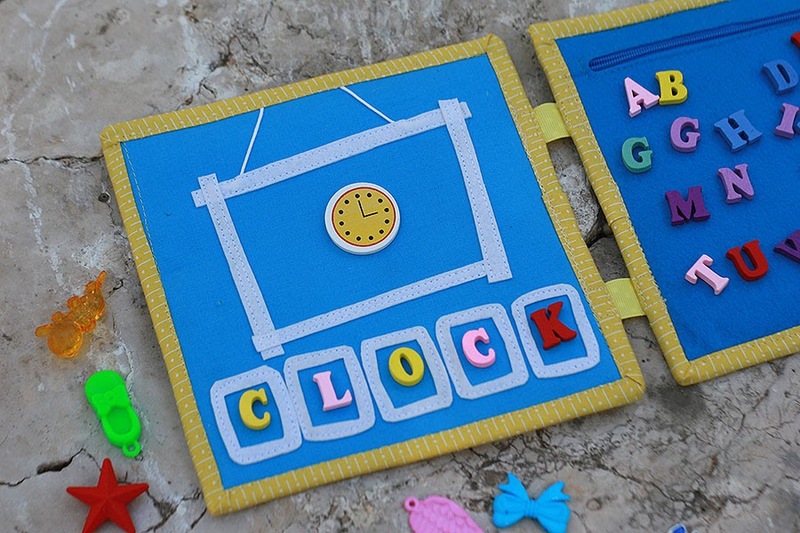 Book with miniature objects - simple 3-5 letter words and letters for spelling. 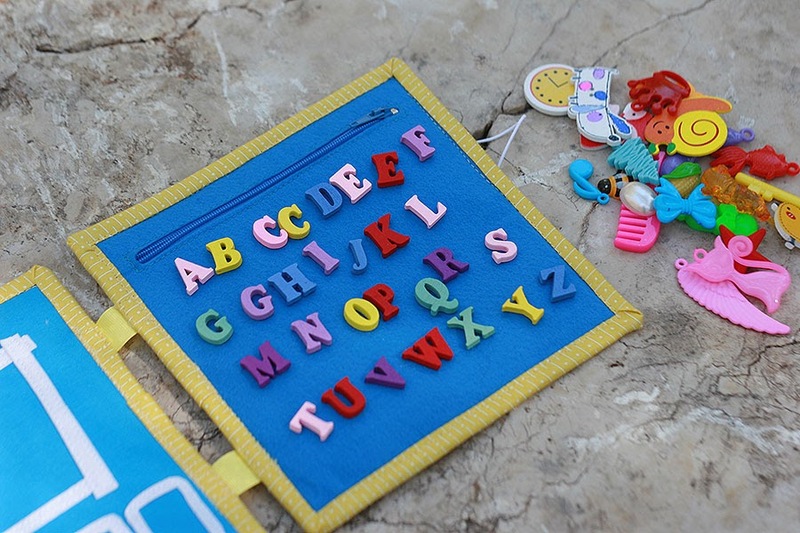 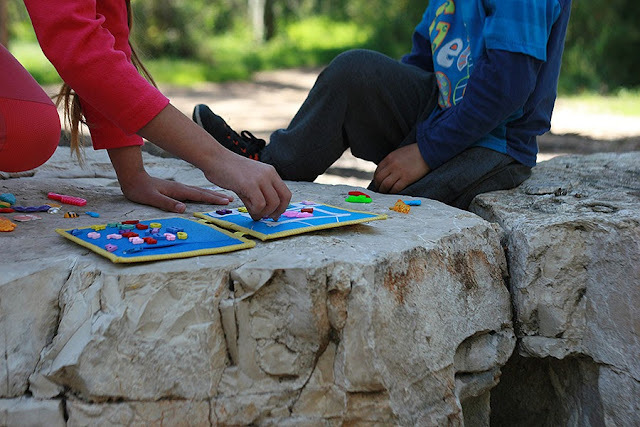 All the objects are easy, short 3-5 letter words , perfect for little spellers. 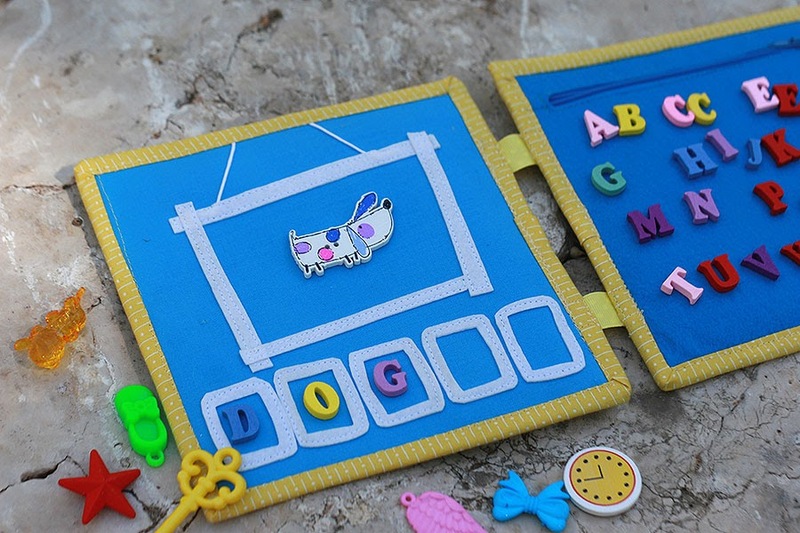 Includes 22 objects and alphabet with needed double letters. 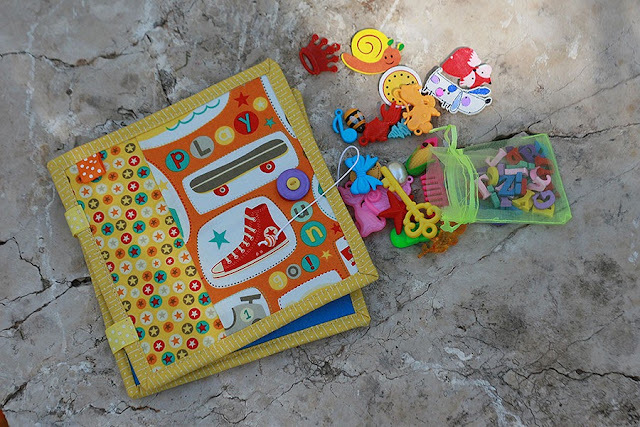 The book made from cotton fabric lined with fusible interfacing. Felt zipper pocket to keep all the pieces safe.